Deciding to buy a Sask farm is a big decision, and finding the property that meets your specific needs can be an even bigger challenge. We're here to help with the expert knowledge, professional contacts and unlimited resources you need to find and purchase your Sask farm. 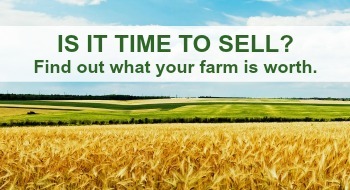 Many times Farms and Farm land will be for sale but not on the market. Contact us to find out about these back pocket listings. Put us to work for you today! WE KNOW THE AREA. We're experts in Sask farmland and will make sure you are up-to-date on current market conditions and all the other factors that affect your purchase: popular crops, rental potential and more. Just ask! THE BEST FARM SEARCH AROUND. Our detailed farm search offers buyers access to all currently listed farm properties by area, with the ability to search by acreage, usage, and more. Search now! WE ACT FAST SO YOU CAN TOO. Not only is our site super fast and geared to work efficiently on any platform, but our updates and notifications are super speedy as well. We don't want buyers to miss out on the perfect property, so when you register on our site we create a customized search based on properties you have already looked at online. From that moment on, automatic email updates will notify you of new properties that meet your criteria; or price or status changes of properties you have already expressed interest in. WE HAVE CONTACTS. Obtaining a loan to purchase your Sask farmland requires a lender who specializes in these unique properties. Need recommendations? We can help! WE'RE HERE WHEN YOU NEED US. Contact us any time for information about upcoming properties, the buying process or to schedule a tour of any property you find on this site. 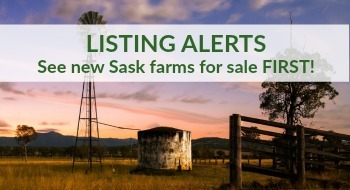 ©2018 Sask Farms For Sale | All Rights Reserved.